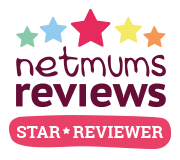 It's not very often that I review mummy products but when it does happen I love it. Today I am reviewing the cardigan shawl collar from Darmart. This cardigan is a long chunky knit and perfect for the autumn and winter. I do love a good cardigan. Anything I can snuggle up in is a big hit with me. This cardigan is quite thick and warm but I do find it a little scratchy against my skin. I guess a long sleeved top would work well underneath it. The size I am wearing is the 10-12. I'm normally a 6-8 and as you can see it is big on me but that just means I can snuggle up more. I quite like the look of over sized cardigans especially when the weather is so cold. I don't think size of cardigans matter too much as they can be worn over sized but I think I would prefer a slightly more fitted one in this case. The cardigan retails at £39.99 which for a thick winter cardigan isn't a bad price. I think a range of colours would be nice as I tend to wear a lot more black cardigans and find they go with so many things.